Dallin paused, but didn’t turn. Wil took the few paces over to him slowly, laid a hand to his arm. You keep saying you see me, and I believe you do, because you bother to look. Well, what if I want to see you, too? He stared at Wil, sudden anger, daring Wil to negate the statement he no doubt saw as mere simple fact. Wil bowed his head, wishing he had the courage to tell him that it wasn’t really his choice. Wasn’t that strange? He’d spent so much of the past few years willing people not to even notice him, to forget him as soon as they’d served whatever use he’d had for them the moment before. Now, all he wanted was to know he’d be remembered, remembered by someone who’d looked at him, someone who’d seen and not looked away. Not invisible. Not merely the sum of his sins. A real person, no one’s dream, whole and the man he was reflected back in his Guardian’s eyes, enhanced and cleaned of tarnish and imperfections of the soul. … a Guardian who loves him above all. Dallin was silent for some time, quietly seething and trying very hard not to. He took Wil once again by the arms, turned him so he faced the falls. Roughly, he wrapped his arms about Wil’s shoulders, dipped his face to the crook of his neck, held on tight. “Then don’t die,” he finally answered. His voice… it blended with the song of the water, just as strong, just as sure and clear. He made Wil almost believe every word. All of those things inside him and his Guardian at his back, pointing the way. Understanding didn’t really seem to be the point. Not even a little bit. Trust. That blind faith that Dallin so despised, and here he was, asking for it, demanding it, and he didn’t even seem to know it. And here Wil was, wanting to hand it over. I will do whatever it takes. I want you to survive, Wil. Do I look like I don’t know what I’m doing? Just trust me, I won’t let anything happen. Wil shifted a little, sank himself deeper into the embrace. Oh, I trust you. I can’t seem to help myself. Trust and faith and give and take, and closing his eyes, following blind and believing without even thinking about it that his Guardian wouldn’t let him fall. That it was all right to be weak sometimes, because there was another there to be strong, to balance you, propping you up in your moment of frailty, not waiting to tear out your throat the minute you bared it. There was a strange sort of strength in that, one you could give back, because it didn’t have to define you, and ‘weak’ didn’t have to mean ‘not strong’. He let Dallin support him as he leaned back, watched the falls. Watched the brown, sunlit ghost of a gangly, tow-headed little boy plunge from the top of the Stair, laughing and shouting, long arms and legs flailing, as he splashed down into indigo-froth. Smiling a little, Wil closed his eyes, breathed in the day, and wished with all his heart it never had to end. Oh wow do I love this book, the whole trilogy. Review for Part Three to come shortly, 5 divas and marbles and stars, and you lucky people get to read this small but important chunk. Read the whole thing, I promise you solemnly that this is a wonderful wonderful story. Newfound love might not be enough. Trust holds the possibility of both salvation and damnation. Circumstances having forced them to seek asylum in Lind, Wil and Dallin find themselves at the center of an approaching convergence they’re not sure they’re strong enough to face. The power of the land and the Mother wait for Wil in the bowels of Lind, but it comes with strings attached. With Dallin's help, he must find a way to defeat the soul-eater and save the Father, Her Beloved, and manage to keep his soul in the process. 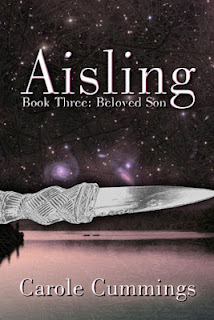 Through deduction and magic and mutual strength, Dallin and Wil must accept their roles as the Guardian and the Aisling, and stand together against a ruthless god in a climactic battle of dreams and wills, the fates of both of their souls and those of all mortals hanging in the balance. Except, what good is the strength of love, if the one who needs it doesn't know how to trust? OMG! 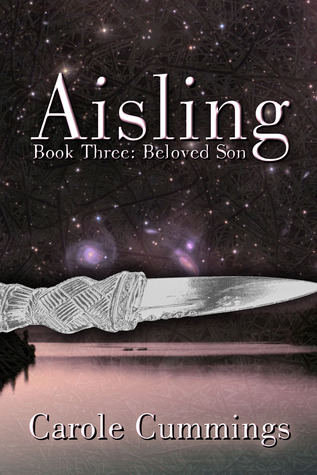 I love all three novels in the Aisling series, and that passage is perfect for your picture prompt! This excerpt highlights everything I enjoy about the series. A great fit for the photo.